MHEDA and MHI/YPN invite you to consider “The Power of Different” this summer in downtown Chicago at the 2017 Emerging Leaders Conference. Learn the about the impact of social gravity and real-world techniques on how to connect with others; discover practical tools for “Igniting Brilliance” in your leadership and innovation skills; and enjoy networking and brainstorming with young leaders who also work in the material handling industry. We have a great line-up of speakers who are fun, engaging and memorable including Amyk Hutchens, Joe Gerstandt & Jason Lauritsen and Jim Ripke. See preview below. AmyK International, Inc., an executive development firm focused on leadership development, healthy team cultures, sales and innovative thinking. AmyK is a former executive of a billion-dollar global consumer products company and was awarded the Vistage UK, International Speaker of the Year. She is a catalyst for producing solutions to leaders’ challenges. More than 45,000 executives in nine countries have benefited from her keen insight. AmyK also served as Senior EVP of Operations for one of the largest sales and marketing firms in the U.S., was a chosen member of National Geographic’s Educator Advisory Committee, and now serves as the Founder of AmyK International, Inc. She is a featured contributor for Entrepreneur magazine and has been a featured guest on numerous TV and radio networks. 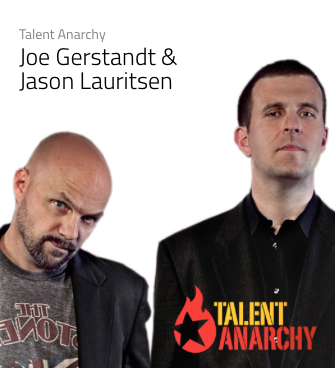 Talent Anarchy is the dynamic speaking duo of Jason Lauritsen and Joe Gerstandt. A Talent Anarchy program is not for the faint of heart. They will provoke, entertain, educate, and inspire you to take action. Joe is the sage consultant. He’s a middle-aged white guy who is a national thought-leader on issues of diversity. He brings a unique and powerful perspective to everything he does. The core of Joe’s work is to help organizations solve issues of innovation through consulting and training. Listening to Joe speak, you will hear tales of his days as a U.S. Marine and Gulf War veteran blended with his experience in sales, education, and community-building. To say that Joe is intense and passionate would be an understatement. He is one part professor, one part philosopher and one part “not quite right.” Be prepared. Jason is the reformed corporate guy. For nearly a decade, he spent his days in the belly of the beast as a corporate Human Resources leader where he drove change from the inside. Today, he leads the Client Success Team for Quantum Workplace. A born innovator, Jason has been making change happen since his grade school years. Classically impatient, curious and well-groomed, Jason’s early career was a rapid progression of sales and management roles including launching, leading and ultimately selling a small business in his mid-twenties. He’s a leader, sales guy, entrepreneur and corporate executive — all rolled up in one. 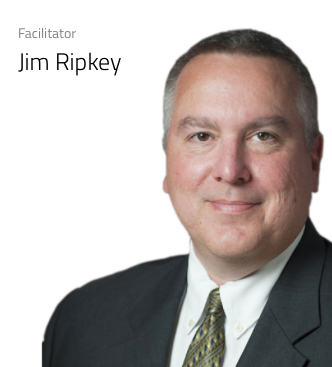 MHEDA Member and ELC Conference Facilitator Jim Ripkey is President, Industrial Equipment, for Hy-Tek Material Handling. He has over 25 years of material handling dealership experience, including: overseeing sales, operations, marketing, and administration. The Emerging Leaders Conference will be filled with interactive sessions and advice you can use immediately. We’ll end the conference with a rooftop reception overlooking Chicago’s breathtaking skyline. Find out more and register!